Here lies a lost portrait of one wee-small Chicago saloon evening from early November 1984, assigned to be a glib piece for Vanity Fair, which ultimately elected not to publish it. Editor Tina Brown found it a little sadder (thus less fabulous) than expected. This was my first encounter with Frank Jr., whom I’d only get to know better across the decades thereafter, by way of working closely with the Sinatra family. Technically never a Junior (his mind was all about technicalities, this sweet musical egghead), he was christened Franklin, not Francis — for FDR and not for the bony boy-singer who spawned him (in between a pair of pink and bright daughters). 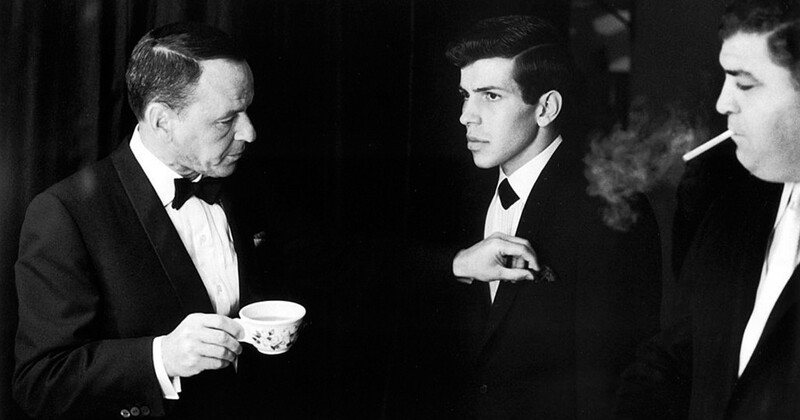 To the family, though, he would always be Frankie — Frankie, the Most Serious Sinatra of Them All. To be his father’s son required special mettle and nerve. 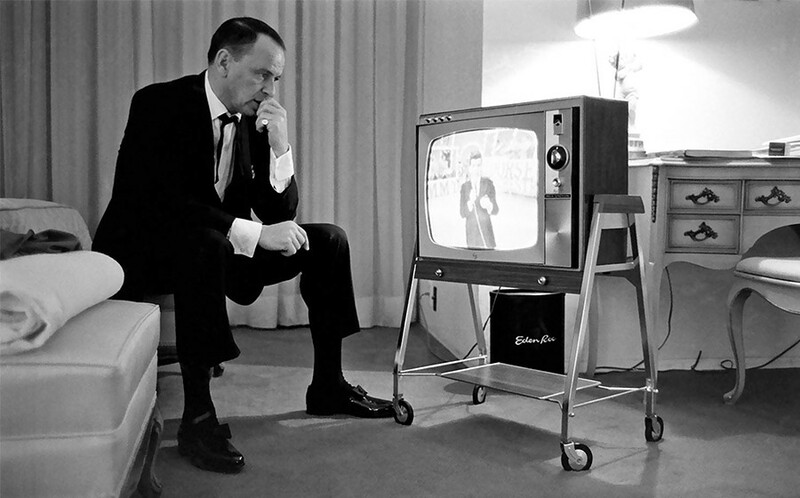 In public Junior regularly referred to Senior as “Sinatra,” as though protective glass was necessary. Reflexively, because the father was all emotion, the son would willfully become a fortress of rationale. For good or bad, it was safer that way. Certainly wiser. Thus he’d grow to become careful centurion who stood meticulous sentry over the single most priceless family jewel: His Father’s Music — which he doggedly curated and performed wherever venues would welcome him. Case in point: In the piece below, we find him at age 41, headlining at a tiny joint in a Chicago Holiday Inn. Four years afterward, he took over the baton of his father’s orchestra; by then, Senior liked having his son near, because no one else would ever know the notes any better. Frank Jr. is closing in on the September of his years. At 41, he is jowly and melancholy and almost chillier than the winter wind blowing in from across the sea. He has grown to look like a partner in an accounting firm — albeit one with a Sinatra swagger. He does not smile. When he cracks wise or when he ring-a-ding-dings, he never so much as winks one of his brown eyes; instead, he stares unblinkingly with no expression or emotion creasing his genetically-replicated puss. His most frequent mannerism is to adjust the left arm of his wire-rimmed eyeglasses at regular intervals and then launch into the next song, rarely waiting for applause to begin or end. After the show, he wordlessly leads me to a small candle-lit table in the back of the club. He jabs a Salem Light between his distinctively ample lips and says that he feels flattered that anyone would want to write about him. “I’m afraid I can’t tell you too much that’s particularly interesting,” he sighs. The career pace, he explains, has slackened considerably. Whereas, before 1978, he spent 11 months a year on the road, he says that he is lucky to be employed for more than six months now. Moreover, he hasn’t had a job in Vegas since 1981 (although, he says, one off-Strip hotel has promised to give him a weeklong shot this year). He no longer has a recording contract, and even when he did, he never produced a hit — something his sister Nancy managed with an ode to go-go boots. “There’s not all that much work around these days,” he shrugs. He asks a waitress to change a fifty for him, extracting the bill from a loose wad. He takes a slug of Perrier and tells me that most music videos are “destructive.” He says: “I don’t like to be an old stuffed-shirt, and old fuddy-duddy, but really nowadays I am.” He plans to make a video, he boasts, with the U.S. Air Force Symphony Orchestra. “You know, that kid Michael Jackson, for Godsakes, he’s got some videos,” he says. “These things were not made for $2.50!” I mention that the director responsible for some of the Jackson videos, Bob Giraldi, has expressed a desire to make a feature film about the life of Frank Sinatra Jr.
John Rockwell, in his recent picture book appreciation Sinatra: An American Classic, recounts an ugly episode in which a green Frank Jr. is accosted by Ol’ Blue Eyes after giving a particularly lackluster performance. “Don’t ever let me catch you singing like that again, without enthusiasm,” his father scolded. “You’re nothing if you aren’t excited by what you’re doing.” I ask Frank Jr. if he will be excited enough to keep his career alive much longer. He pauses for a moment, then quietly says, “There’s nothing else I can do, really. This is all I know how to do — just sing and work in joints.” We make small talk for awhile, until he says, “I’m gonna go upstairs and pour a little painkiller in my throat. I tell ya, this change in seasons can get to you.” I walk with him out to the lobby and watch him get onto an elevator, a man alone. Bill Zehme is the author of the New York Times best-seller The Way You Wear Your Hat: Frank Sinatra and the Lost Art of Livin’ as well as Lost in the Funhouse: The Life and Mind of Andy Kaufman and Intimate Strangers, a collection of his magazine features. For even more MEL, follow us on Medium or subscribe to our newsletter.